Look and feel great in the pool or by the beach in the Pour Moi? swimsuit from in black. 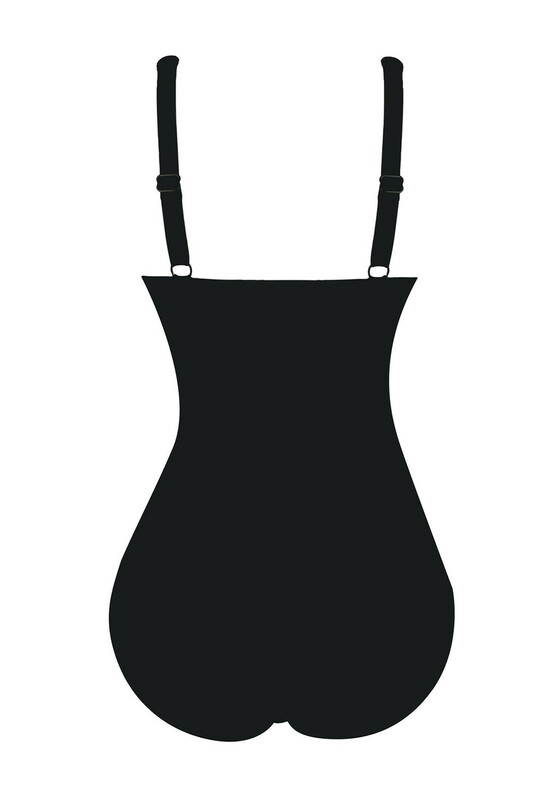 Styled with a ruched bodice with a flattering V neckline and adjustable straps. A flattering choice with a control panel for tummy control while a padded shelf supports the bust.